Halimah Bellows is a seasoned career counselor/coach with more that twenty years of experience as well as an educator and educational planner for colleges and non-profits on the West Coast. 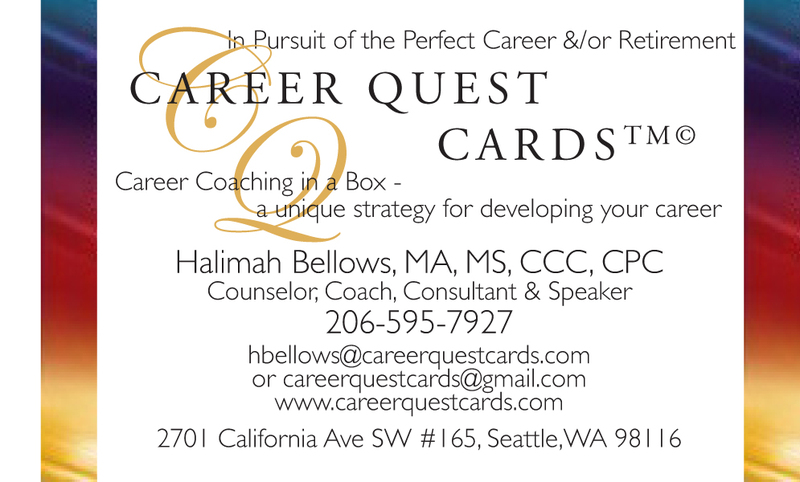 She is available for counseling, coaching or presentations and can be reached at hbellows@careerquestcards.com or careerquestcards@gmail.com,, or 206-595.7927. 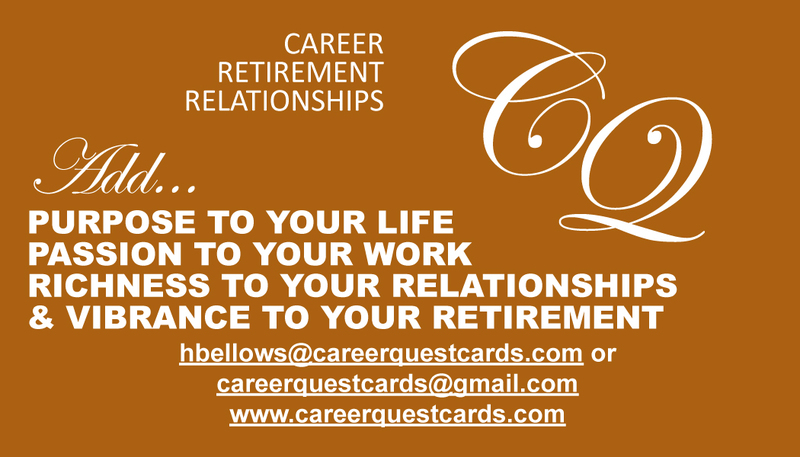 More information about CAREER QUEST CARDS TM© is available at www.careerquestcards.com.